Mi pequeña familia!!! ¿ Cómo habéis empezado el año? Yo vuelvo a la carga con el blog más fuerte que nunca, con muchas ideas para vosotros. 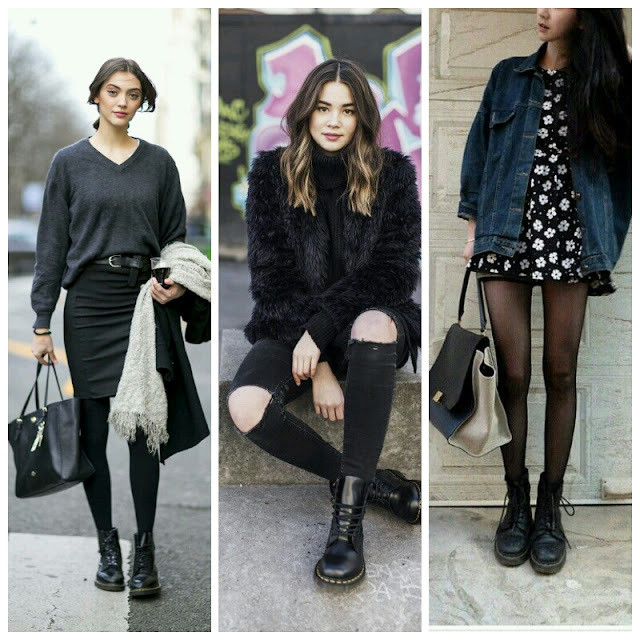 Pero esta vez os hablaré del boom que han creado las famosas botas Dr.Martens. 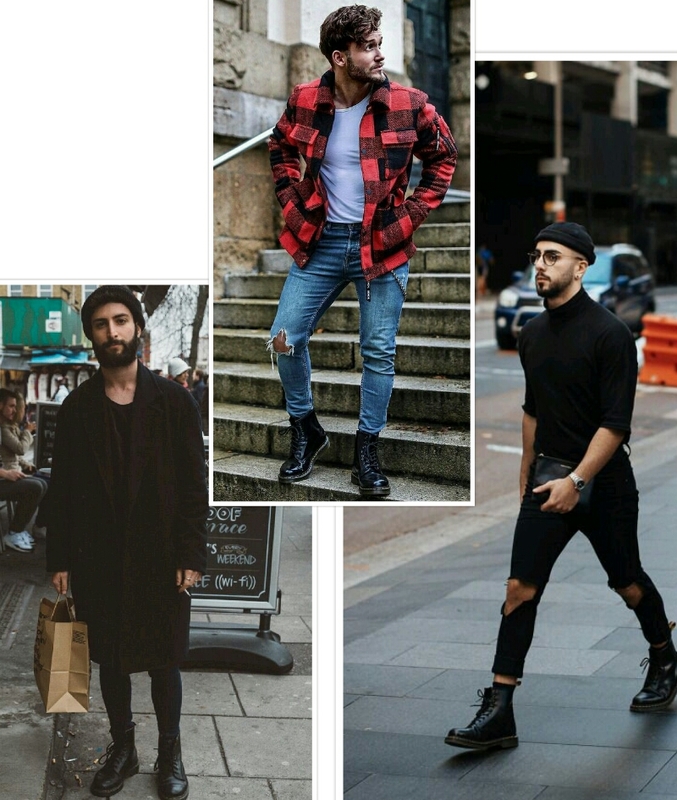 Cuando hace unos pocos años las veía la gente como un calzado para personas del estilo gótico o similar, pero a día de hoy cualquiera posee su par de botas de esta marca. Y ya que las lleva cualquier persona , pensé en dejaros un par de ideas/inspiraciones de como combinarlas etc... Ya que las puefes usar tanto como para un look mucho mas office , como un look casual. Así que no me enrollo más y espero que Os guste. Con amor , E.
My little family!!! How did you start the year? I return to the blog load stronger than ever, with many ideas for you. But this time I will talk about the boom that the famous Dr.Martens boots have created. When a few years ago people saw them as footwear for people of the Gothic style or similar, but today anyone has their pair of boots of this brand. And since it is worn by any person, I thought of leaving you a couple of ideas / inspirations on how to combine them etc ... Since you can use them as much as for a much more office look, as a casual look. So I do not roll up anymore and I hope you like it. With love, E.
Flavia Gutowska 1/07/2018 11:21 a. m.
Tymek Nowak 1/07/2018 1:23 p. m.
Anna Łukawska 1/08/2018 7:20 p. m.
Buty super! Można je użyć i mieszać z wieloma stylami. Justyna Justyna 1/14/2018 11:17 a. m.